Computerdatei | Adventure | More titles to the topic Klassisches Jump'n'run für 1 Spieler.Availability: No items available Checked out (1). Computerdatei | 2015 | Konsolenspiel | Sport- und RennspielAvailability: Items available for loan: SB Hennef [Call number: 0123 PS 4] (1). 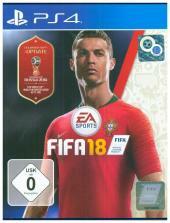 Computerdatei | 2017 | Konsolenspiel | Sport- und RennspielAvailability: Items available for loan: SB Hennef [Call number: 0040 PS 4] (1). Computerdatei | Party | More titles to the topic Klassisches Jump'n'run für 1 Spieler.Availability: Items available for loan: SB Hennef [Call number: 0082 PS 4] (1). Computerdatei | 2016 | Konsolenspiel | Bewegung & TanzAvailability: Items available for loan: SB Hennef [Call number: 0129 PS 4] (1). Computerdatei | 2014 | Konsolenspiel | AdventureAvailability: No items available Checked out (1). Computerdatei | 2013 | Konsolenspiel | AdventureAvailability: Items available for loan: SB Hennef [Call number: 0125 PS 3] (1). Computerdatei | 2013 | Konsolenspiel | AdventureAvailability: Items available for loan: SB Hennef [Call number: 0137 PS 3] (1). Computerdatei | 2014 | Konsolenspiel | AdventureAvailability: Items available for loan: SB Hennef [Call number: 0130 PS 3] (1). Computerdatei | 2015 | Konsolenspiel | AdventureAvailability: Items available for loan: SB Hennef [Call number: 0128 PS 4] (1). 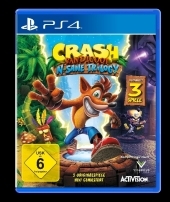 Computerdatei | 2015 | Konsolenspiel | Sport- und RennspielAvailability: Items available for loan: SB Hennef [Call number: 0132 PS 4] (1). Computerdatei | 2014 | Konsolenspiel | AdventureAvailability: Items available for loan: SB Hennef [Call number: 0119 PS 4] (1). Computerdatei | 2013 | Konsolenspiel | PartyAvailability: Items available for loan: SB Hennef [Call number: 0026 PS 3] (1). Computerdatei | 2015 | Konsolenspiel | AdventureAvailability: Items available for loan: SB Hennef [Call number: 0065 PS 4] (1).